One hour of power-pop from the late ’70s through the early ’90s from bands who were influenced by Big Star, The Raspberries, Cheap Trick, Badfinger, The Kinks, The Beatles, and the like. 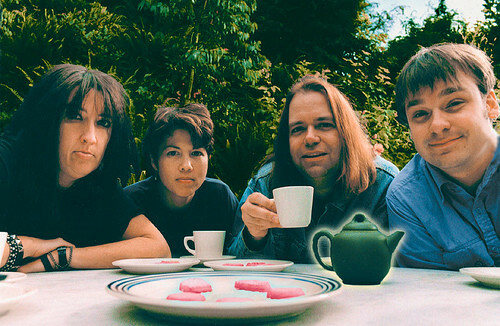 On this episode we’ll hear from Fastbacks (pictured), Material Issue, The Beat, The Smithereens, Tommy Keene, The Plimsouls, The Screaming Tribesmen, The Bongos, The Jags, Shoes, The Spongetones, Jellyfish, Nikki & the Corvettes, plus covers of Big Star, The Monkees, and Teenage Fanclub. The Plimsouls — How Long Will It Take?